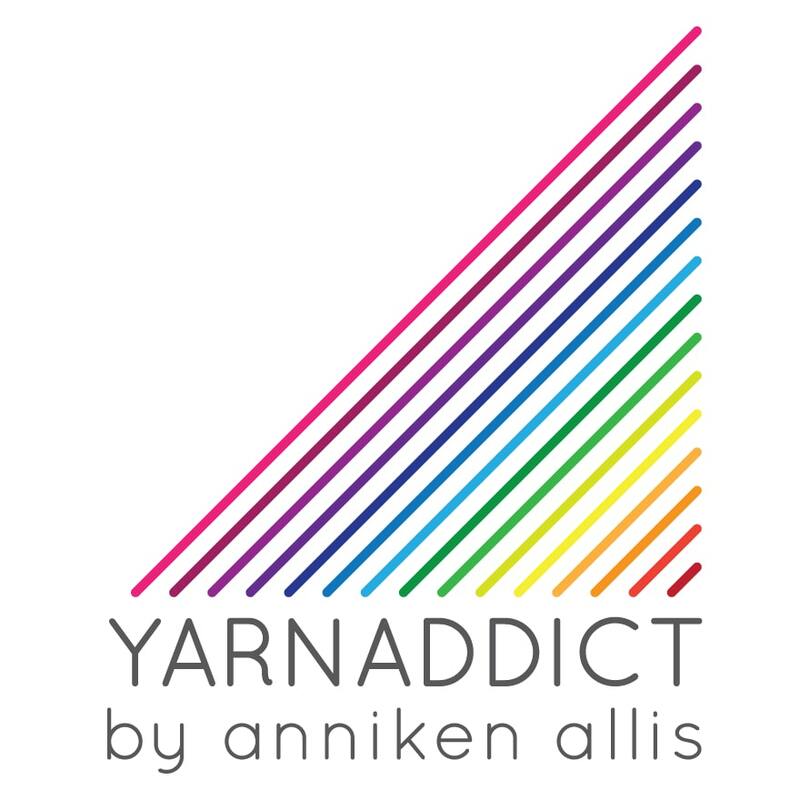 Confessions of a YarnAddict: Want to learn a new way to knit? Want to learn a new way to knit? As most Norwegian kids I was taught to knit the continental way and I've knitted that way ever since. When I first moved to England 22 years ago people used to tell me I knitted the wrong way when they saw me knit. Now, most of the comments I get is about how fast I knit. Even at Spring Harvest a lady came up to me at the end of a seminar and asked about my knitting style. A lot of people say I'm the fastest knitter they've ever seen. The fastest I can knit, when I've timed myself (and yes I've timed myself - sad, I know) is 90 stitches a minute. The world record belongs to a Dutch lady, Miriam Tegel, and is 118 stitches per minute. She's a continental knitter too. My ambition is to challenge the world record one day. Even if your ambitions isn't to challenge Miriam for the world record, most knitters would like to knit faster. The main reason I think continental knitting is faster is because the movements are much smaller. You may not become the worlds fastest knitter after this class but I think it will speed up your knitting. Watch my video here, where i tell you more about this class. I teach the Norwegian purl instead of the continental purl. The continental purl brings the yarn forward for purl stitches just like the English purl stitch. With Norwegian purl the yarn stays at the back all the time. So combined knit and purl stitches like ribs, moss/seed stitch are much quicker and easier to work. Want to knot what previous students have said about the course? You can read Sarah's review here. Helen (@sherkswife): 'The first time I've ever taken an online course and it was just AMAZING. Anni is a wonderful teacher. Can definitely recommend it'. Sue (@BristolBelle): 'The very clear, concise knitting video was so easy to follow; really enjoyed it. Now all I need is practice'. Valora (@Valora_Rav): 'Yay it has improved my knitting so much'. Ripping Yarns (@nodakyarn): 'Great course. It really helped me understand why I was making mistakes when I tried to purl'. You can join those ladies above and enrol for my class starting today. You can enrol at any time during the duration of this course, which ends on 19 April. You will retain access to the class material indefinitely so can keep going back and viewing the videos as many times as you want. You'll only need about 15 mins a day to view the lessons but you will get more out of the class if you set aside more time to practice each day. Little and often is best for learning new techniques. You'll also learn the Long Tail Continental Cast On which is my preferred cast on method. The reason I like this method is that it's fast, very even and creates a firm but stretchy cast on. A lot of knitters don't like it because they worry about estimating the long tail needed. I'll share my tips for more accurately estimating the long yarn tail and also what to do if you run out of yarn tail or your yarn tail is too long. Think this all sounds like fun? Enrol now. Still need persuading? It's a good idea to have more than one knitting style up your sleeve. If you knit a lot there's always a risk of sustaining a repetitive strain injury. If you alternate between knitting styles then the risk of injury lessens. Also, learning new things keep our brains young. I've had knitters in my classes ranging in age from 20 something to 80 something. Knitters who've only knitted for a couple of months and knitters who've knitted for 60-70+ years. Your experience level doesn't matter. You may be thinking 'there's lots of free videos online'. Yes there are. But they're not always that well filmed and the knitters don't always know much about their topic, plus you may not be able to ask them questions if you get stuck. My videos are clearly filmed. I demonstrate each technique slowly and clearly. I've been teaching this class in shops for a few years now and I take all that knowledge into this class. You can also ask me questions in the class space and even upload pictures or videos. Of if you prefer you can e-mail me, both for the duration of the course and after the course have finished. I knit the English way but a Polish friend taught me continental knitting. But I found it difficult to switch.